·Actively managing a flood protection project of size $5 million for state of PA.
·Three plus years of work experience in civil-structural and hydraulic design consulting. 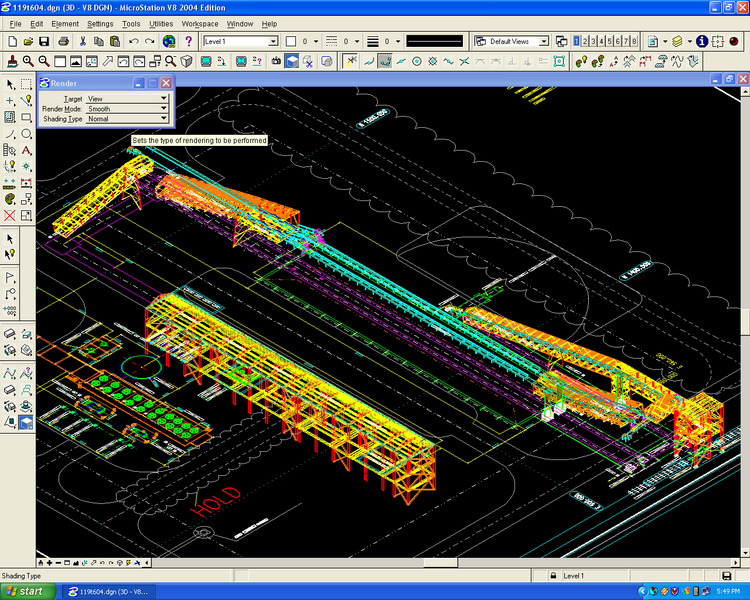 ·Strong knowledge of advance civil engineering software and design standards. Seeking a full time position in civil engineering division. I am looking for a challenging and fulfilling career. I have MS degree in civil engineering and total three years of relevant work experience. oCurrently working on installation of a communication tower on top of existing building. oPreparing bid documents and project manual for levee project at city of Jeannette. oMajor Job responsibilities include estimating, scheduling and coordinating construction of project. oPreparing feasibility study report for a flood protection project in borough of Ashley, PA. Study includes evaluating flood protection alternatives, estimating construction costs, assessing environmental impacts, performing an economic analysis, constructability review etc. oCarrying out the ‘paperwork’ necessary to get relevant permits and communicating with various municipalities, state and federal legislators, county and state government officials. oProject closure work and writing O&M manual for levee strengthening project in Hyndman, PA.
oPrepared Construction drawings, erosion and sedimentation control plans, PA1 calls. oCulvert design using HECRAS for hydraulic analysis and Box 2.1 (LRFD) software for RC design. 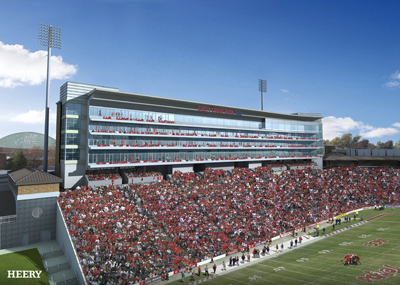 Graduate Assistantship for University of Maryland’s Byrd Football Stadium expansion project of $50 million size. oDetail inspection of steel moment connections, reinforcement layout and construction procedures. oAssisted in scheduling, cost estimating, documenting design and construction activities. oWorked on ‘constructware’ for web based project management. BA energy’s- Heartland Upgrader Project, Canada- a 4 members structural design team. oDesigned structures like conveyor galleries, transfer tower, silo, trestles, pipe racks etc. oReinforced concrete design of open foundation, piles and pile caps inclusive of frost loading. oDuties included extracting 3-D models from STAAD to Frameworks and guiding the detailers to develop the models. oUsed Microstation and PDS (Plant Design Software) to check interaction with other disciplines. oCarried out special structural analysis for transportation of completely integrated structures. 213 Mega Watt captive Power Plant Project Delhi, India- Design team member of group of 6 people. oDesigned & modeled pipe-bridge with five tiers carrying steam, chemicals and inflammable fluids. oPerformed duties such as fabrication drawing review of steel connections. oDesigned combined foundations in the presence of complicated underground piping. oProject involved stress- strain calculations for flat slabs, computer aided analysis etc. oDesigned flat slab using Indian standards, studied ACI codes and VSL pre-stressing standards. oMonitored on-site post tensioning of 11-storied flat slab, verified site layouts with shop drawings. ·Masters level bridge design course with Dr. CC Fu. Detail study of AASTHO-LRFD bridge design specifications for steel and concrete-prestress bridges. Used MERLIN DASH for bridge design. ·Design of steel girder, Splice design, Elastomeric bearing design. ·Prestress concrete beam design. Abutment and pier design. Retaining wall design. ·The paper discusses and analyzes the connection details and arrangements of hollow sections for hinged, rigid and semi-rigid connections. ·Paper also focuses on design of the connections of hollow sections under fatigue loading for highway sign structures and luminaries. ·Design: Advance steel design, Advance concrete design, Structural dynamics, Finite elements analysis, Fundamental structural analysis, Bridge design etc. ·Management:Introduction to project management, Advance scheduling, Risk analysis etc.